Republican lawmakers say they will pursue a plan to construct a tunnel around Line 5 in the Straits of Mackinac — but the Mackinac Bridge Authority won’t be its overseer. 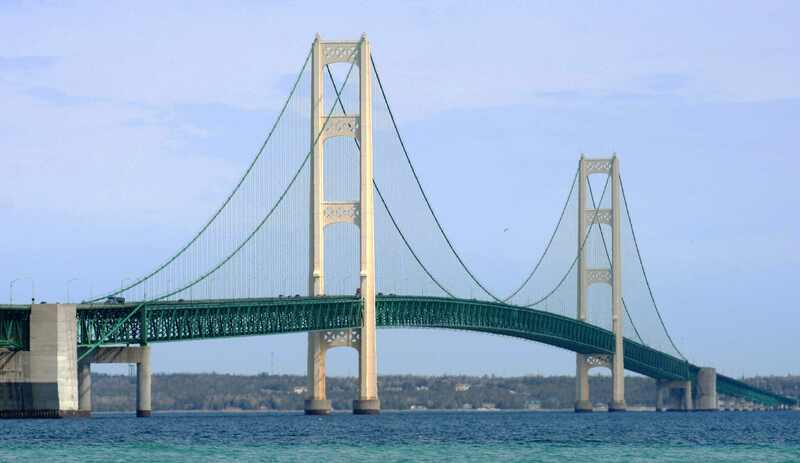 Republican lawmakers are dumping a proposal to have the Mackinac Bridge Authority own and operate a tunnel surrounding Line 5, Enbridge Energy’s controversial oil pipeline beneath the Straits of Mackinac. Facing strong opposition, lawmakers will instead push for a separate agency to oversee a proposed $300 million to $500 million tunnel to protect the pipeline, they said Monday. Gov. Rick Snyder, a term-limited Republican, proposes to swap out twin pipelines in the Straits for a new pipe that would be protected in a bedrock tunnel 100 feet below the lake bottom. He wants to finalize the plan in his final month before Gretchen Whitmer, a Democrat and opponent of Line 5, succeeds him. Enbridge and the state announced a deal in October to pursue the tunnel, but the plan is fraught with controversy and legal uncertainty. That plan hinged on the bridge authority, an independent state agency, owning the 4-mile, 12-foot in diameter tunnel, under the October agreement, and leasing space to Enbridge for 99 years. Sen. Tom Casperson’s Senate Bill 1197, which cleared a committee hurdle last week, aimed to ensure the bridge authority had power to vote to take on the responsibility. But that prospect faced strong opposition — including from a host of former bridge authority members — and Casperson told the Detroit Free Press that Senate leaders and Snyder’s office were re-writing the legislation to have a separate entity oversee the tunnel. The Republicans "are working on trying to come up with a plan ... to just separate it completely,” Casperson told the Free Press. Casperson’s office did not immediately return a message seeking comment from Bridge Magazine. The development came as Rep. Lee Chatfield, the incoming Republican House speaker, reiterated his support for a tunnel but expressed reservations about the bridge authority’s role in its oversight. We would like to respectfully say that the issue is ANYTHING that keeps #Line5 open. The use of the Mackinac Bridge Authority was simply particularly egregious, and a sign of how little thought has gone into this. Line 5 can transport up to 540,000 barrels of light crude oil per day from Superior, Wisconsin, to Sarnia, Ontario – and runs beneath the Straits. Environmentalists and other concerned citizens fear a rupture, however slight the possibility, would create a catastrophe in the Great Lakes. Environmental groups oppose constructing a tunnel, which is projected to take seven to 10 years. They instead have called for the pipeline to be shut down. “We would like to respectfully say that the issue is ANYTHING that keeps #Line5 open. The use of the Mackinac Bridge Authority was simply particularly egregious, and a sign of how little thought has gone into this,” the advocacy group Clean Water Action tweeted Monday. The people, and the elected Governor both would like an end to line 5, so naturally the Republicans would like to invent another authority to take the decision away from them. The Republicans are convinced that the people should have absolutely no say. since the "OIL" is going to canada lets send it our there land. trucks.trains and leave our water "sweet " to michigander that live little w while longer. Are we/michigan collecting trash from Canada? has the price gone up? Governor Snyder has already destroyed the drinking water in Flint, Michigan (my hometown). Now he aims to destroy the water in the Great Lakes. His Line 5 ideas go from bad to worse. Remove and dismantle Line 5 immediately so that our precious Great Lakes are protected from irreversible contamination. Water is way more valuable than oil. Let's start thinking ahead instead of for short term gain. Please Governor Snyder, just go away quietly without destroying anything else in our wonderful state.